For 24 hours beginning Thursday, February 28th at 6:00pm, take part in the largest online giving day of the year and help PAWS raise money to save animals not protected under "No-Kill" legislation. Will there be bonus prizes? Yes. Will there be matching dollars? You betcha! Will it be tons of fun and a super rewarding experience? Oh yeah! Amplify Austin is a powerful strategy by I Live Here, I Give Here to increase donations and awareness to local, Central Texas non-profits through a 24 hour online donation platform. Last year, through Amplify Austin, Central Texas non-profits were able to raise a collective 4 million dollars in just 24 hours. Now that's impressive. Why Should You Donate Through Amplify Austin? We're making a special appeal February 28 - March 1, 2019. This is the day to celebrate and support nonprofits in Central Texas that make this a better place for everyone to live. PLUS, your gift made through Amplify Austin will be boosted by incentive matching dollars. Your gift may also help PAWS win one of the four the grand prizes or hourly booster prizes during the 24-hour period! How Do I Amplify the No-Kill Movement? It's easy! Visit our Amplify Austin page and click the "DONATE" button. Throughout Amplify Austin, several types bonus prizes can be earned for non-profits. $5,000 for the nonprofit with the most dollars raised between Scheduled Gifts Opening on January 15th - 12 AM March 1st. $5,000 for the large nonprofit (over $500K operating budget) that raised the most money in the 24 hour period of Amplify. $5,000 for the medium nonprofit (between $100K and $500K operating budget) that raised the most money in the 24 hour period of Amplify. $5,000 for the small nonprofit (under $100K operating budget) that raised the most money in the 24 hour period of Amplify. I Live Here I Give Here will award $1,000 to the organization with the most dollars raised within the hour. From 6 AM - 6 PM on March 1, I Live Here I Give Here will award $1,000 to the organization with the most individual donors within the hour. The wonderful Cambron-Wright family have been a true blessing for PAWS and the animals for which we care. Now, for the fifth year in a row, they offering an outstanding $5000 matching gift when we reach $10,000 in donations! This year we've cooked up some new perks for reaching milestones in fundraising! 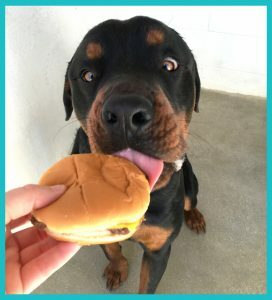 $20,000 - Make it to the $20,000 milestone and a staff member will buy a cheeseburger for every dog and fish sticks for every cat!! 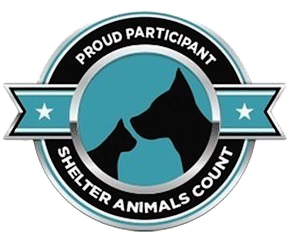 $30,000 - If we reach our $30,000 goal, the staff have committed to a slumber party with the pets at PAWS! We'll spend the night in the kennels and cattery making sure each pet gets lots of love and extra attention!